Max Spielmann has over 350 Photo Centres across the UK including many in larger Tesco Extra and Asda stores. Our friendly teams are ready to help with everything from photo printing, film processing, portrait and passport, our ever popular canvas prints and friendly photography studio and much more. Visit us in any of our shops for a great range of frames, albums, single use cameras, memory cards and more. If you’re looking for personalised gifts then our colleagues can help you every step of the way. Not sure how to get photo prints off your phone or camera? Don’t worry we’ve made it easy and will show you how to do more with your photos. 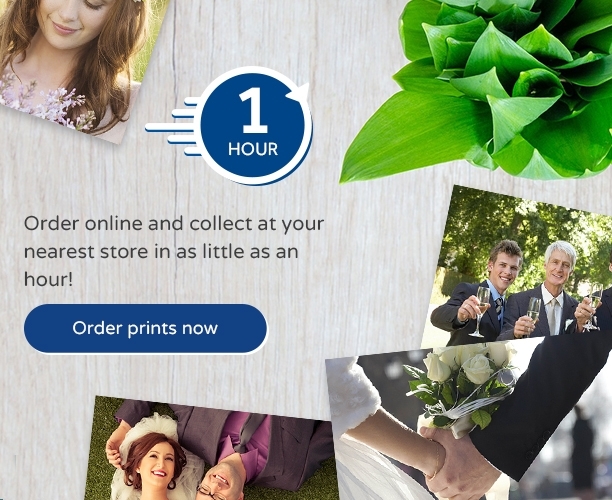 Our kiosks print your photos while you wait in Tesco stores nationwide and accept payment from all major credit and debit cards. Prints are available in 4×6″ 5×7″ and 6×8″ sizes. * Please note 5×7″ instant prints are printed with a white border. Thank you so much for being a Max Spielmann Mystery shopper. If you have left contact details, we may get in touch to discuss your feedback. If appropriate, one of our Area Managers will contact you shortly. Whatever comments you have made will be added to our weekly report. We do look at all the scores and comments every Friday to try and learn lessons or celebrate success. As a thank you for your feedback please use voucher MAX10 for a 10% discount on your next shop in-store or online.